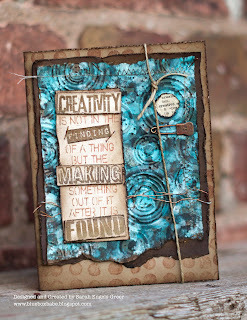 Simon Says Stamp and Show: Simon Says Stamp and Show Your Handmade Backgrounds! Simon Says Stamp and Show Your Handmade Backgrounds! 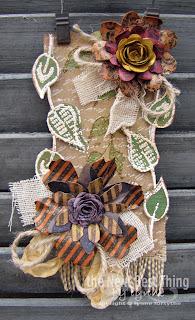 Lynne created her background using Dyan Reaveley's ~ Around the Edge stamps. A bit of white and clear UTEE accented with Forever Green Perfect Pearls. To finish off her diecut tag, she inked up some diecut flowers with Distress Stains and misted them with various Perfect Pearl Mists!! A little psychedelic retro-grunge! Sarah pounded Kraft Glassine Paper with Picket Fence and Pool Alcohol Inks before embossing with Retro circles and getting inky with Walnut Stain and her new Tim stamps. Random stitching and a Trinket pin finish off this funky card! 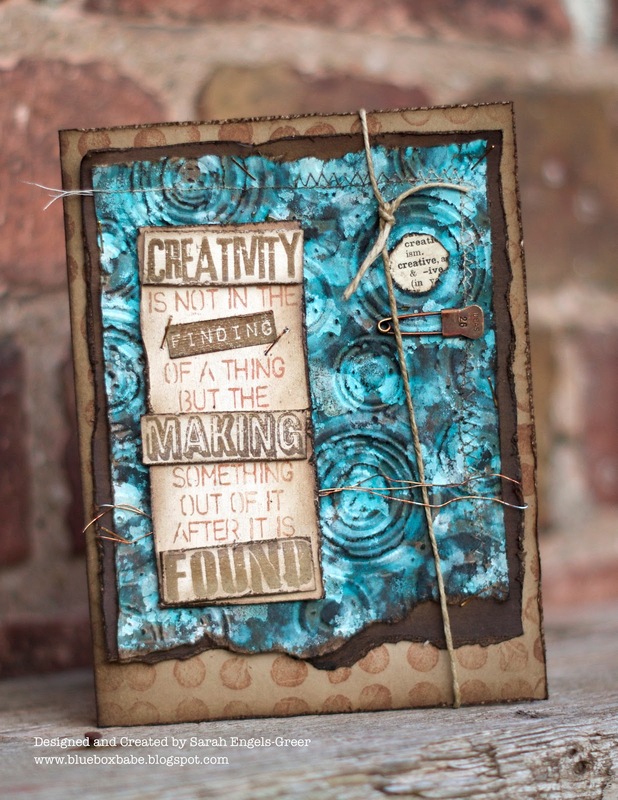 Candy loves Dyan Reaveley's products and features them in her first ever Art Journal pages! She created her backgrounds using various Distress Reinker colors and water in a Mini Mister. She also added texture by stamping with Studio Paints. Then the real fun began as Candy randomly stamped images from Dyan's fabulous stamps sets. 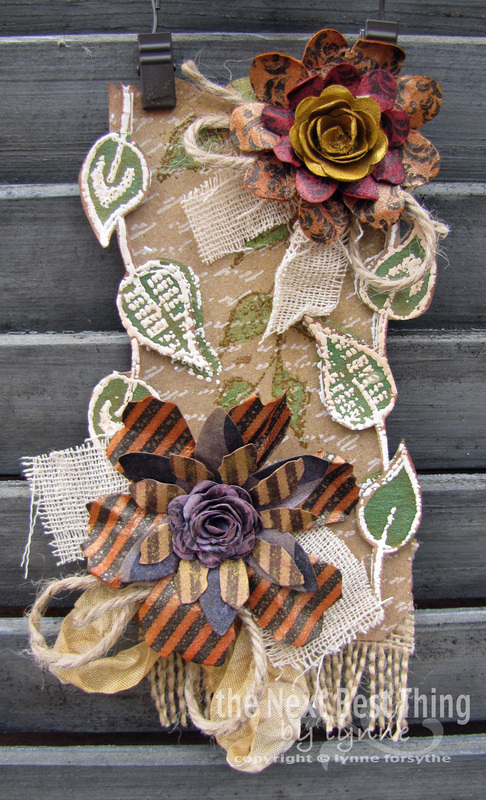 The detail work was done using Tim Holtz incredible new Distress Markers. 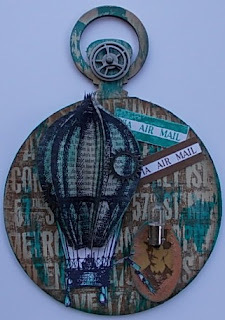 Tracy is on her travels this week and by hot air balloon too from the new Tim Holtz Remnants stamps, set against a background created adding Tim Holtz Nostalgic Tissue Tape; one layer of Claudine Hellmuth Studio Classic Teal paint, random layers of Vaseline (petroleum jelly) and then a top coat of Claudine Hellmuth's Traditional Tan paint to create a unique background. Add into the mix the handsome gentleman from Tim's Steampunk set and a little Idea-ology Sprocket Gears and Light Bulb. Beginning with a simple tag and Ranger's metal foil tape sheets, Nancy embossed a background with a Cuttlebug Script embossing folder and Spellbinders Parisian Accents. 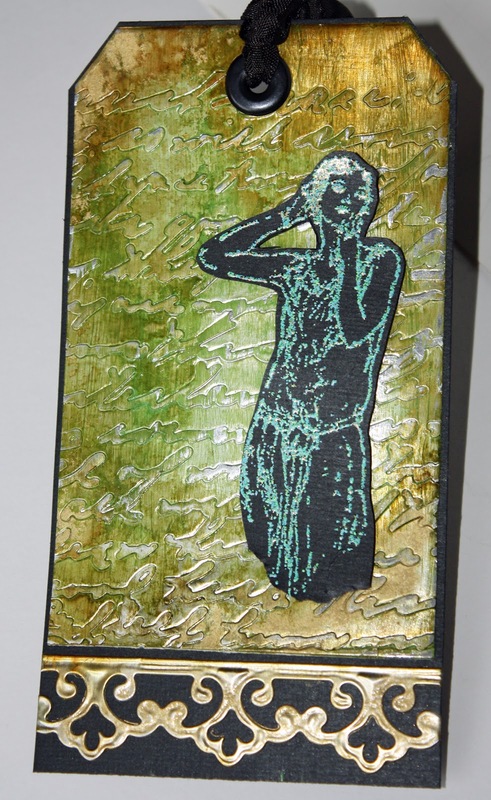 After embossing, she used the Vintaj patinas and painted over the embossed metal, thinning the patina out with the glaze. 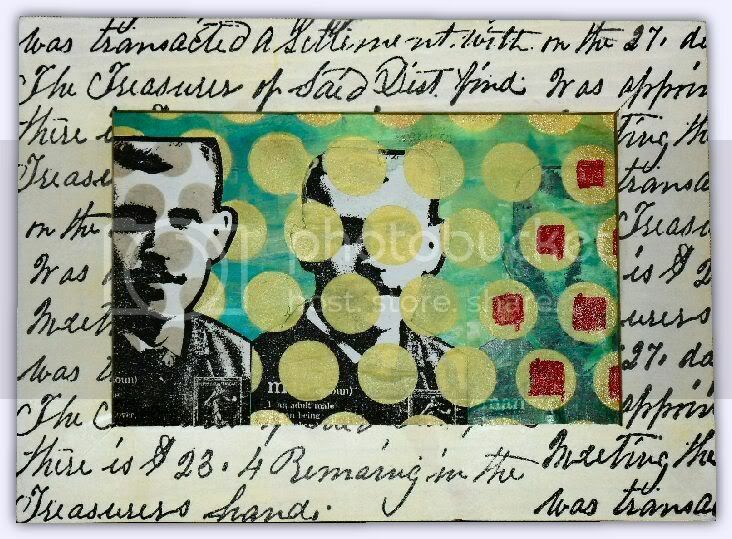 Dark accents were added along the tag edges with alcohol ink before adding the stamped & embossed Graphic 45 image. It's all about the BACKGROUNDS! Terry had that thought in mind when she made her Easter Spool. Lots of Vintage Photo, Crackle and Distress Crackle Paint were used. The background of the spool are made with Tissue Tape and the Easter Elements Bigz Dies from Tim Holtz. Ellen created a handmade background with Dylusions sprays and stencils, some white gesso, and then added Dylusions stamps over the top with Ranger's new specialty stamping paper, accented with distress markers, perfect pearls, some colored hemp twine and a white pen. Dan opted to make Claudine Hellmuth's Studio paints his focus for this challenge. Other products he used included the Royal Script stamp set and Paper Artsy's Man with Moustache stamp Walnut Stain distress ink and a black Versafine Onyx Black ink pad. My background was made using Wild Honey Distress Stain; Dylusions Ink Sprays and then loads of background stamping with lots of Tim Holtz Ultimate Grunge and Pyschedelic Grunge sheets. I often start on A4 size and then chop down to the size I want. 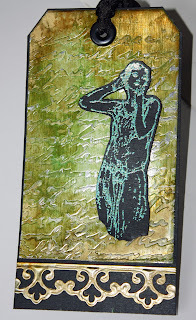 This week I have opted for ATC's and I got all funky with Dylusions Stamps. ﻿﻿Please stop by The Design Team's individual blogs for more detailed pictures and further information on their work...Just click on their names! We are looking forward to seeing your interpretation of this theme! Our wonderful site sponsor Simon Says Stamp is once again giving away a $50 gift voucher! The prize will go to a random entry chosen by Random Generator. The challenge will close at Midnight Eastern time on Sunday, 25th March 2012 and the winner will be announced during the following week. To qualify all you need to do is create a new piece of work ... post it on your blog ... with a link to this site and then pop a link below so everyone can come see what you made! Love this week's theme and the DT artwork is gorgeous as always. Hope to make time to take part this time round! Great challenge this week, backgrounds are definitely my fave thing to do! Fantastic artwork from the team! Wonderful behind the scenes as in backgrounds by the DT. I did some embossing on my background. Great challenge and fabulous inspiration by your team. Loved the DT's inspirational pieces! Only just managed to get this done as had a very busy week - phew!! Thanks for the opportunity to show my work here again. Simon Says Stamp and Show ... a Tag!